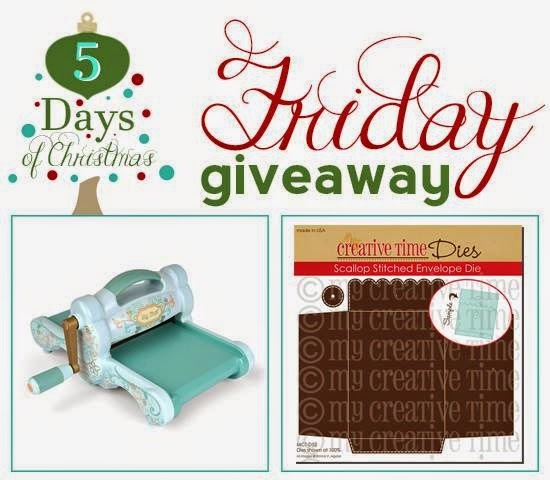 I've got a fun card for you on this last day of the My Creative Time 5 Days of Christmas! I had this silly idea of putting a snowman on a bike! 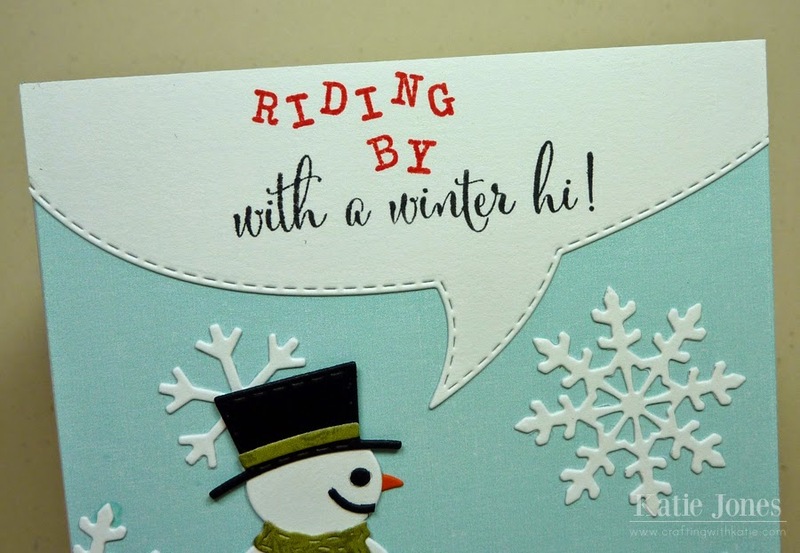 I made a little snowdrift using one of the Fun Stitched Edges Dies and then made a cute Christmas bike using one of my all-time favorite MCT dies, Way to Go! The snowman was made with the Winter Snowman Dies. To make him facing sideways, I cut his smile in half, and then I made him a carrot nose using part of one of the flower stems from Way to Go. The pretty snowflakes in the background were made with the Winter Flake Dies. I used the die from Speech Bubble Sentiments to make my giant speech bubble, and then I put together a sentiment using part of a stamp from Winter Cheer and spelling out the rest of with with letters from Alpha Pack. Oh my garth, this is too cute! 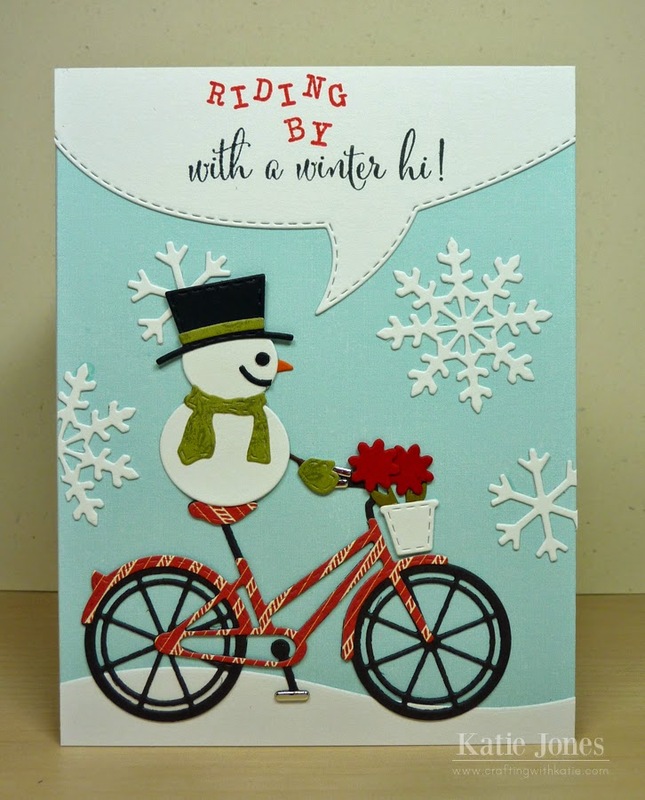 The sentiment matches so perfectly and the snowman looks darling riding the bike! Fabulous idea! Ms Katie, This is a Super cute Idea!!!!! Love it! OMG Miss Katey and LOL OMG too cute!! Fab: Yes......Guaranteed to make someone super happy: YES!!! Girl I don't know how you keep on keepin' but you just are so super clever and creative with Miss Emma's goodies and today's just made my day sitting here at 6 a.m. with my Kuppa Kuppa Keurig and so grinnin' & LOL YOU made my day!! YOU so ROCK!! Simply adorable! Very clever on you incorporated so many of MCT dies and stamps on this project! I wouldn't be able to give this one away! This is the cutest ever!!!!! LOVE! OMG this is so cute. Love the snowman riding the bike. So FUN, Katie. Snowman on a bike... CUTE. great use of dies and cute too. I love everything about this design! The candy cane bike with the poinsettias in the basket...super smart!! Thank you for a great week of inspiring projects. Katie ~ OMG this is so darn ADORABLE, CLEVER and simply PERFECT!!!! I LOVE how you turned the face too! So darn creative I ADORE it! AMAZING projects all week! Might have to lift this idea! 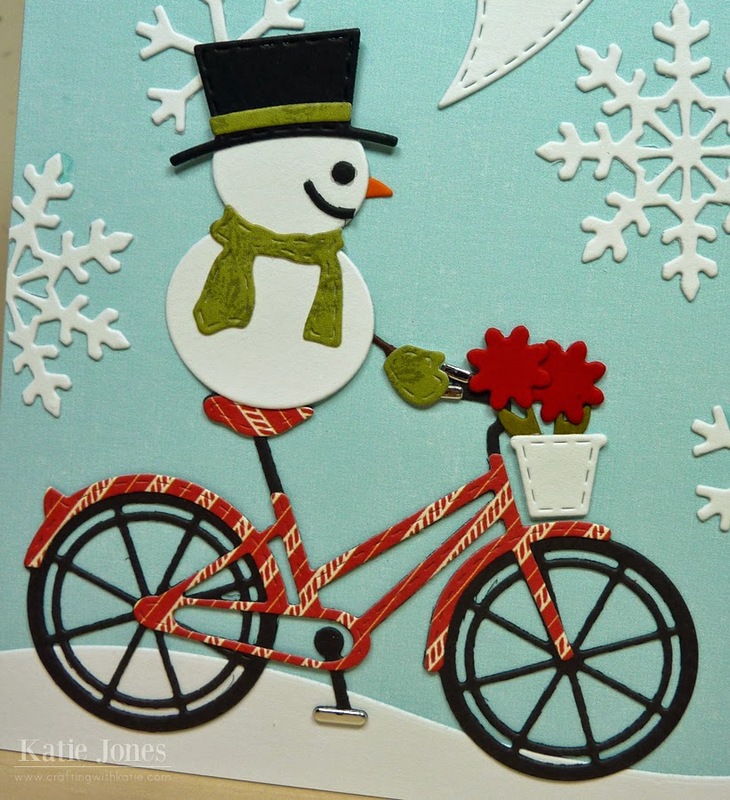 Super cute card - love the snowman and his bike. This is absolutely adorable! I love the pretty papers and what a darling snowman! OMG Katie, this is soooo cute! Love the snowman on the bike! What an awesome idea. I am smiling away, imagining this scene. Your card is just way too cute!!! Nothing 'silly' about that at all (I have a wooden Christmas decoration I painted with three snowmen on a bike), but only super festive cuteness! I love that snowman on the bike!! Such a cute card. This is so super ADORABLE Katie! LOVE that little guy on the bike! Super cute card. I love that idea of the snowman riding a bike. what fun. Love the snowman riding the bike. lol, funnest snowman card ever! How clever of you! Too cute! I would have never thought of having a snowman ride a bike. Very creative. What a cute scene and I like the sentiment. Very cute card and very creative. Miss Katie! Always thinking out of the box! What a great fun card. A Super Duper cute and Fun card!! These 5 days have flew by so fast...I loved all of the inspiration. A snowman on a bike makes me smile. Good thing he is going down hill but not sure how he will stop without legs...look out below! So cut and love Emma's flakes. Her giveaways have been amazing and so generous. Great job on a week full of fun. How cute! Going to use this idea! your card is my very favorite!!! I adore it an will be making one of my own!!! Love your ideas thinking outside the box, cute card! What a fun card idea! This snowman is super cute! Oh my gosh, your card is so whimsical! Love how you adapted his face so he could be forward-looking. Wonderful card as always, Miss Katie! So stinkin cute, I just got the bubble die, can't wait to use it. Great Job!